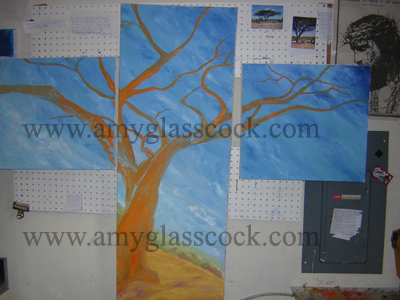 Here is my initial idea for my next painting. This is just a rough sketch of one of the churches I visited in Africa. Starting with a blue sky. Changed the sky a lot by adding more texture. 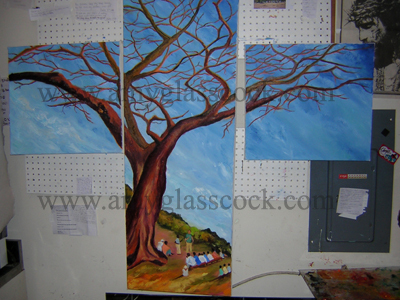 Added the tree and ground. 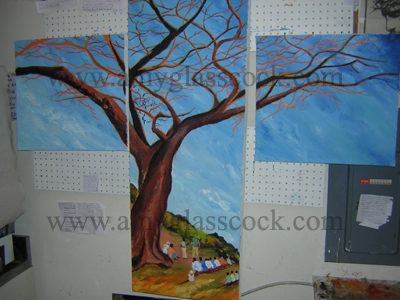 Tree 63 :"The Answer to the Question"
Worked on the foreground and also made the orange under painting of the tree thicker. Tree 63: "The Answer to the Question." Starting to add some contrast. Classical music on the radio. I had a lot of time to paint today and I am really starting to get excited about how this one is turning out! 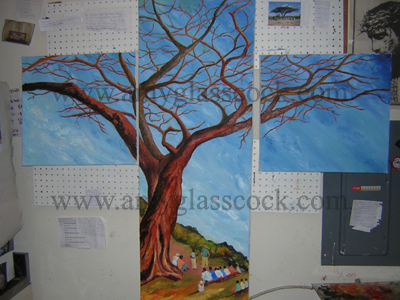 I especially like how the people and foreground are starting to come together. 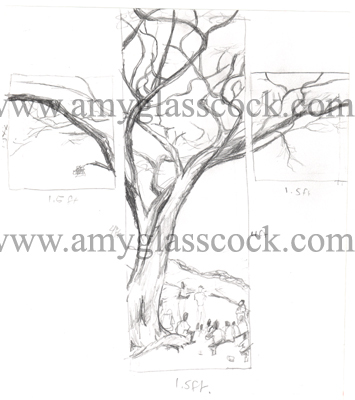 I also spent a lot of time composing the branches. 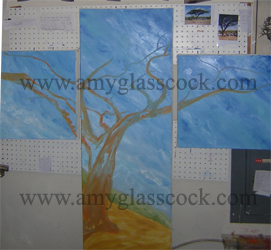 I worked on the branches a lot today. I thought a lot about where in space each branch should go and also about what colors will make it appear that way. This has been quite a fun challenge so far! 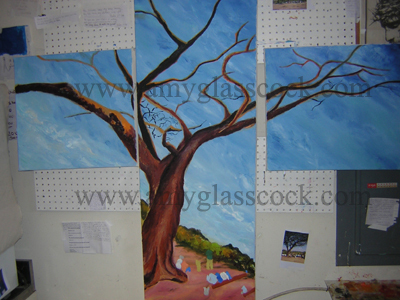 I also worked with colors in the trunk quite a bit. So yesterday and today I have been working on the trunk. I decided that I wanted it to have a more tree-like texture. 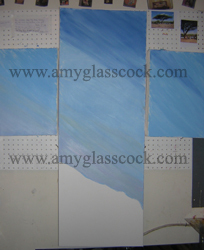 I still have a lot of decisions to make on this one... even though it may seem to be almost done. Caedmon's Call: "Share the Well."